Evacuation drills are a key element of your campus emergency response plan. Most campuses do not train or practice their plans with students, staff, faculty, and employees. Often, drills are the only operational exercise of your emergency response. This puts an enormous emphasis on the criticality of drills. Why? Because people respond the way they were trained, and untrained people panic or freeze. The objective of drills is to take a difficult or unfamiliar process and make it a habit by dint of repetition. Some want to believe that drills - even false alarms - are training. Drills are not training. No military, no emergency services, no state fire code, and no federal regulation or standard regarding emergencies recognizes a drill as training. The proper sequencing of emergency preparedness is (a) create the plan; (b) train the plan; and then (c) drill the plan. To train is to teach; to drill is to test. Complete a written record of each drill. Implicit in this definition is that you must have a headcount procedure that formally accounts for all personnel. Now, let's add in federal law to these state requirements. Every campus in the U.S. is under the jurisdiction of the Occupational Safety and Health Administration (OSHA). OSHA requires that every employer - your school - account for all employees during an emergency. Your headcount must include all employees, not just students. So, the convergence of state and federal law requires that you must include in your drills every person on campus. Drills must not be focused just on students. Bo Mitchell was Police Commissioner of Wilton, CT for 16 years. He retired in 2001 to found 911 Consulting which creates emergency, disaster recovery and business continuity plans, training and exercises for organizations like GE Headquarters, Cablevision, Goodrich, Western and Central Connecticut State Universities. He serves clients headquartered from Boston to LA working in their facilities from London to San Francisco. Bo has earned 16 certifications in homeland security, organizational safety and security. 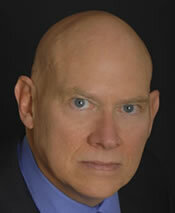 He also serves as an expert in landmark court cases nationally.